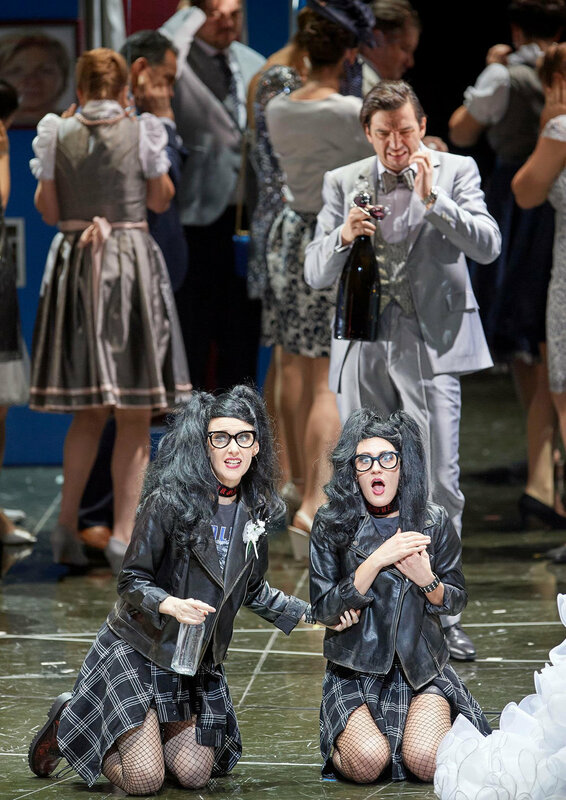 Opera News lauds Jeni Houser’s performances as “commanding and duplicitous, yet also vulnerable. She has a bright future above the staff.” In the 2018-19 season, she makes her house debut with the Wiener Staatsoper as Franzi in the world premiere of Staud’s Die Weiden and subsequently joins the company for its productions of Die Zauberflöte and Trojahn’s Orest. She also joins Kentucky Opera in a return to her in-demand characterization of Königin der Nacht in Die Zauberflöte and returns to Madison Opera as Anne Egerman in A Little Night Music and Fort Worth Opera to create the role of Viv in Peters’ Companionship. Future seasons see her debut with Dallas Opera and another return to Madison Opera. Last season, she made debuts with Austin Lyric Opera as Zerbinetta in Ariadne auf Naxos and Central City Opera as the Königin der Nacht in Die Zauberflöte in addition to returning to Minnesota Opera for her first performances of Susanna in Le nozze di Figaro and the Charmeuse in Thais. She also joined the Last Vegas Philharmonic for Orff’s Carmina Burana and reprised Johanna in Sweeney Todd with Baltimore Concert Opera. Ms. Houser sang previous performances of Zerbinetta in Ariadne auf Naxos and Königin der Nacht in Die Zauberflöte with Minnesota Opera, at which she also sang Mrs. Grady in the world premiere of Paul Moravec’s The Shining. She joined Cincinnati Opera as Königin der Nacht in Die Zauberflöte as well as the Lyric Opera of Chicago for its production of the same title; Madison Opera for Olympia in Les contes d’Hoffmann, Johanna in Sweeney Todd, and Amy in Adamo’s Little Women; Mill City Summer Opera for further performances of Johanna in Sweeney Todd; On Site Opera as Susanna in Marcos Portugal’s Le nozze di Figaro in her New York City debut; and Odyssey Opera in Boston as Cecily in Castelnuovo-Tedesco’s The Importance of Being Earnest. On the concert stage, she has sung Orff’s Carmina Burana with Madison Symphony and Atlanta Ballet and Brahms’ Ein deutsches Requiem, Haydn’s Creation, and Mozart’s Requiem with Abendmusik: Lincoln (Nebraska). 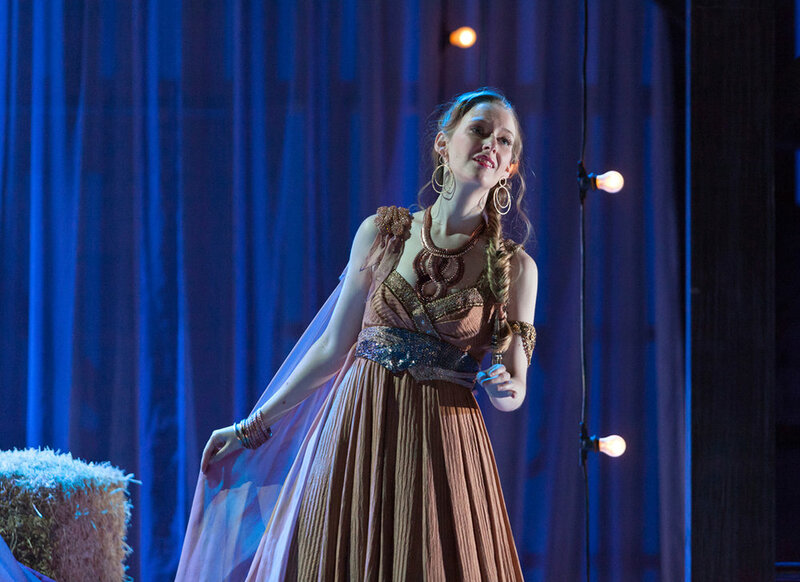 During two summers with the Glimmerglass Festival, Ms. Houser sang Königin der Nacht in the young artist performance of Die Zauberflöte and Najade in Francesca Zambello’s new production of Ariadne auf Naxos, in addition to covering Cunegonde in Candide. She joined Lyric Opera of Chicago’s Lyric Unlimited for The Magic Victrola, in which she sang Olympia’s aria from Les contes d’Hoffmann. She sang Josephine in H.M.S. Pinafore with Opera Saratoga, Frasquita in Carmen with Virginia Opera; and Najade in Ariadne auf Naxos with Fort Worth Opera and Berkshire Opera. The soprano won second place at the Nicholas Loren Vocal Competition in 2014. She was a district winner and regional finalist in the Metropolitan Opera National Council Auditions in 2013 and 2011 after earning an encouragement award in 2010, and was a national semifinalist in the NATS Artist Award Competition in 2010. She holds degrees from the University of Nebraska-Lincoln and Lawrence University.